Plus Technologies has successfully certified its OM Plus i-Sat Cloud Printing software on the Dell MFD Android platform. Dell customers that have printers based on the Android operating system can now run OM Plus i-Sat software. The Android Dell printer can then securely ‘pull-print’ documents from a Cloud based host automatically. OM Plus i-Sat will communicate securely over the internet with OM Plus Delivery Manager (DM). The host system contains Plus Technologies’ OM Plus Delivery Manager. First, the host based DM system will authenticate the i-Sat system. Second, encrypted documents will be securely ‘pushed’ over the internet back to the i-Sat system at the remote location. Lastly, i-Sat can then have the documents printed locally on the printer or it can distribute them to any other device at the remote end. 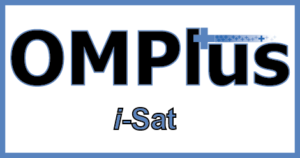 Plus Technologies’ OM Plus i-Sat is our internet based cloud printing service. i-Sat consists of Plus Technologies developed software that enables organizations to use the internet to securely deliver print jobs from one location to another. This cloud printing service is perfect for organizations with distributed locations such as satellite offices, retail outlets, labs, or health care clinics. One reason for our success is our willingness to respond quickly to our customer’s unique requirements. First, we listen to the customer to understand their environment and their needs. In addition, we work the customer to determine the optimal solution. We are able to quickly make enhancements to our products to meet specific needs. Moreover, we offer pricing and licensing flexibility to suit our customer’s budget. Furthermore, Plus Technologies is highly experienced with implementation services. Lastly, we provide world class support. This recipe has served us well over the years and as a result we have an extremely loyal customer base.